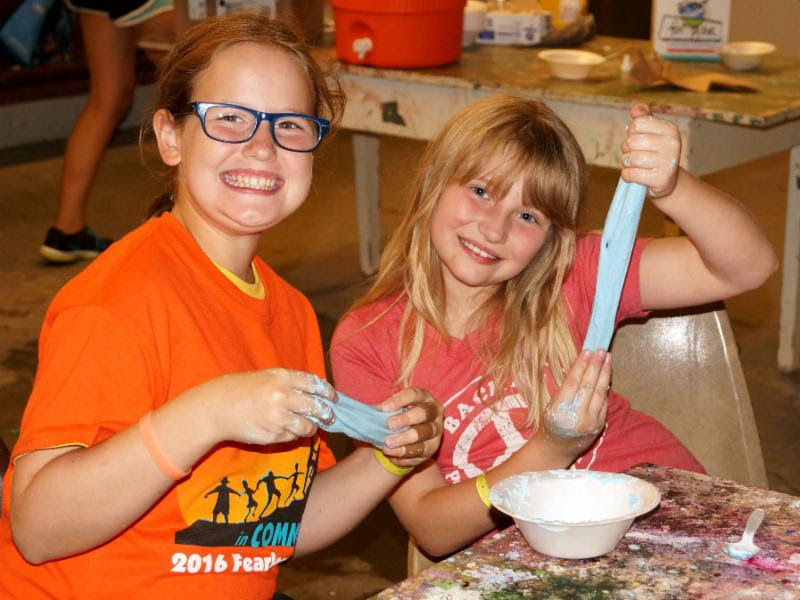 Volunteer at Camp this Summer! Volunteers are the heart of strong and healthy Outdoor Ministry programs. At DuBois Center, they serve throughout the year on committees and teams, at the barn, in the office, on work projects, leading retreats and raising funds. During the summer, there are a variety of ways to get involved and make a difference in the lives of the young people we serve. Join us for a few hours on a Sunday afternoon, a couple days during the week or a full week of camp. Volunteers work hand in hand with paid summer staff to provide our fun, engaging and faith-filled program. For more information, contact DuBois Center at dcinfo@DuBoisCenter.org or 618-787-2202. Additional information and volunteer applications are available here. Those looking to volunteer who are 15 – 16 should consider the CIT (Counselor in Training) program, June 25-30. We Need a Golf Cart! Planning to replace your golf cart this spring? Have one that is just taking up space? DuBois Center is in need of a 4-seat golf cart – gas or electric. Our nurses currently use a two-seat gator to respond to medical situations and deliver medication. If a camper needs to be transported back to the health center for treatment, there is no room for a third person. Renting a golf cart for the summer is very expensive, so we are exploring other options. You can help with this critical need and, perhaps, save some on your taxes. Donations are tax-deductible. For more information contact Shirley at dcinfo@DuBoisCenter.org or 618-787-2202. Thanks in advance! Welcome, Ryan Goetter, to our 2017 team! This will be his third season on summer staff. Ryan grew up near Collinsville IL, an avid member of his high school band and active member of St. John Evangelical UCC. He attended summer camp at DuBois Center for many years, including our C.I.T. (Counselors in Training) program in 2013. While in high school, Ryan volunteered as a teacher for 4-H groups. That experience has proven to be valuable as DuBois Center began partnering with 4-H of Southern Illinois for their summer camp program. This summer, Ryan will be coordinating our staff team for that endeavor. In addition to serving as a Counselor/Activity Specialist for DuBois Center, Ryan also counsels for Camp Phoenix, the summer camp for the Episcopal Dioceses of Missouri. 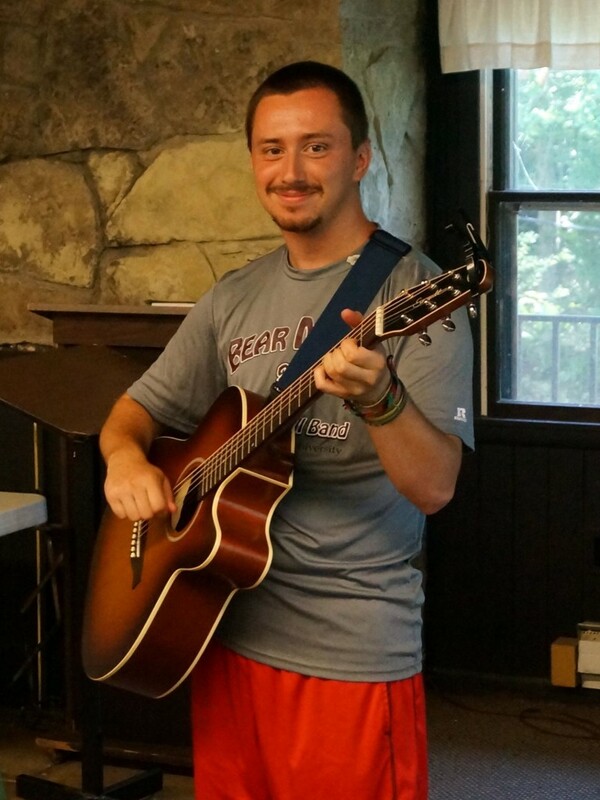 Ryan is a student at Missouri State University where he studies Instrumental Music Education. This has given him even more experience working with youth through practicum credit hours. On campus, Ryan works in the business office of the medical clinic and is actively involved in Lambda Chi Alpha. He is the Director for Drug and Alcohol Awareness for the MSU chapter of FSLSA (Fraternity and Sorority Leaders of Social Awareness). Ryan is passionate about summer camp – from the magical “escape from the real world” to the wacky songs and the spirit-filled worship circles. The wonderful, often off-beat, interactions with campers and the enduring friendships with fellow staff members – he loves it all! It’s time to RSVP for DuBois on Broadway 2.0, and you’re invited! Join us for an evening of Broadway-style performances with dinner, wine and auctions. Proceeds benefit DuBois Center! Click here for the full invitation, and read below for more information. Time: Doors open at 5 p.m., Dinner begins at 6:30 p.m.
Reserve Today! : Download the order form to reserve your space by mail, or order tickets online here. Deadline is April 28. Entertainment: An evening of Broadway music performed by the talented people of the Illinois South Conference, with special guest performer Grammy Award-Winning American Soprano Christine Brewer. Dinner: Fountains Salad (mixed greens, red peppers, walnuts, shaved Parmesan, vinaigrette); Chicken Mudega (onion, mushrooms, bacon & cheese, herb orzo); Potato Tower (baked thinly sliced scalloped potatoes); Spring Vegetables and assorted Desserts. Vegetarian and gluten-free options available by request. Auction: There will be a variety of options available, including a Sheraton Hotel overnight package, a getaway vacation at Lake of the Ozarks, a home-cooked steak dinner for eight at preferred site, a child-sized picnic table and two Adirondack chairs and a wooden rocking horse. On Saturday, April 22, corral your friends for a horse-intensive day at DuBois Center! 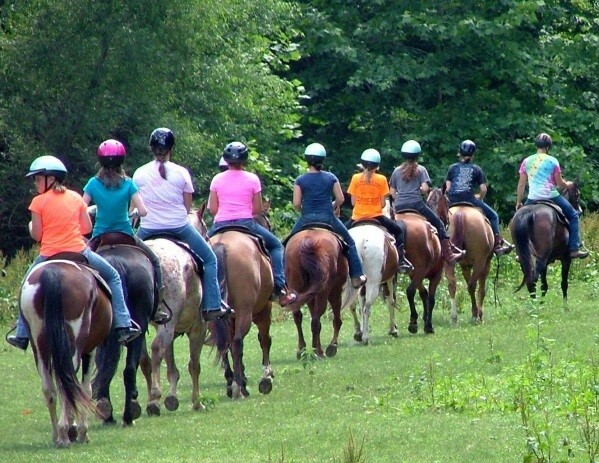 Wrangle & Ride is for pony enthusiasts ages 12 and older. Groom, tack, ride and enjoy other horse-themed activities from 9 am – 5 pm. The cost is $60 (or $55 if registered by April 1 – the early bird deadline); lunch is included. To ensure more time in the saddle, space is limited to the first 12 registered. Click here for a flyer and reservation form or contact DuBois Center at 618-787-2202 or dcinfo@DuBoisCenter.org. In less than three months, the first week of summer camp at DuBois Center will be in full swing! It’s time to THINK SUMMER! Register for 2017 Summer Adventures by the Early Bird Deadline and save $20 on full-week sessions and $10 on part-week sessions. Completed registration (online or by mail) and non-refundable deposit are required for this discount. The Early Bird Deadline this year is Wednesday, April 5. View the brochure online or download it along with a registration form. You may also contact DuBois Center at dcinfo@DuBoisCenter.org or 618-787-2202 to receive these by mail, or register online here. Introducing Meredith Ellis, one of our returning Counselor/Activity Specialists! Meredith grew up in Glen Carbon, IL and is an active member of Troy United Methodist Church. She first came to DuBois Center for summer camp with a friend when she was in the sixth grade. She instantly loved it and returned year after year as a camper. In 2013, she participated in our CIT (Counselor in Training) program and then volunteered the next year. She dedicated the summer of 2016 to serving on our summer staff. She has “wanted to be a counselor ever since [she] was a camper” and had an amazing experience in that role last summer. She is looking forward to “being back in such a beautiful place” and seeing her past campers again! Meredith’s experience, beyond camp, includes working with family programs and teaching youth tennis lessons at the YMCA. 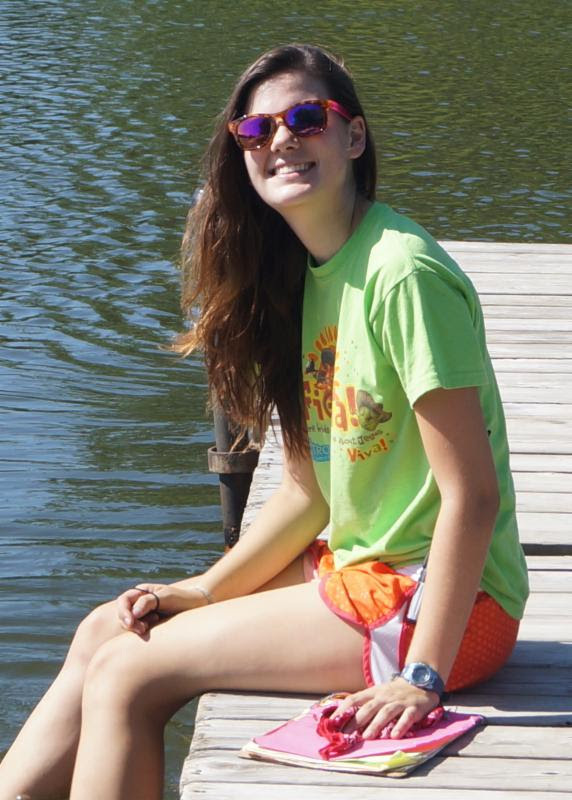 When not at camp, Meredith studies Political Science at the University of Illinois Urbana-Champaign. At school, she is a student worker at her university library and is involved in campus ministry, a campus sexual assault education program and Alpha Delta Pi. In her free time she likes to read and drink tea. Welcome Meredith to our 2017 summer staff team! Have you or your prospective camper never been to DuBois Center? Do you just want to enjoy a family-friendly afternoon at camp? Join us on either April 2 or April 30 for Sunday Funday! Visit the horses and ride one in the arena; cruise the lake in a pontoon boat; play a round of Ga-ga ball; roast marshmallows and tour the facilities – all for FREE! A delicious, optional meal will be offered, but you are welcome to bring a picnic instead or pick up something on the way. The cost of the meal will be $11.00 for adults (ages 13 and older) and $6.50 for children (ages 5 – 12). Children ages four and under are free. Sunday Fundays are a great introduction to DuBois Center. There are even orientations for prospective summer campers and their parents. Click here for a flyer to share and post. Meal reservations are due by noon the Monday prior. Looking for a great event for your church family? Consider car-pooling to a Sunday Funday and participating together. You can even reserve an outdoor worship space or the labyrinth for a morning or afternoon service. Your ministry… in the outdoors! 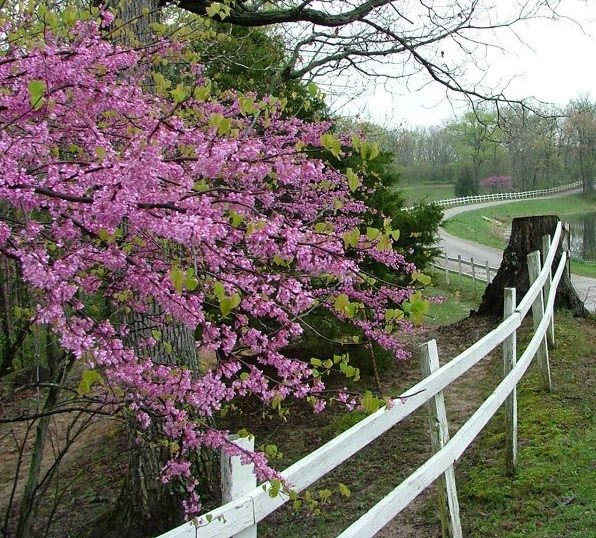 Although the last few days haven’t quite felt like spring, it’s time to plan your spring activities at DuBois! There’s so much to do, and there’s still time to get involved. Check out our Spring Brochure for information about the upcoming Father-Son Retreat, Wrangle & Ride event, Service Saturdays, Sunday Fundays and more. Click here to view the brochure and a reservation form, or contact DuBois Center at dcinfo@DuBoisCenter.org or 618-787-2202 to receive these by mail. If you’re interested in registering for one (or all!) of the events, fill out this form. Be a DuBois on Broadway 2.0 Sponsor! Do you love DuBois Center and its mission? Are you looking for a way to support DuBois on Broadway 2.0 even further than just attending? A sponsorship may be perfect for you! Click here to learn more about the event, which will occur on Friday, May 12. We need people like you to make this event even more of a success. There are multiple sponsorship levels – and all proceeds will go to DuBois Center. Each level comes with different benefits, read on below to learn more. To sign up to be a sponsor, download fill out this form. Should you choose Honorary Level or above, be sure to include the names of the event attendees on the form. You can return the form via email to ISC DuBois on Broadway – 1312 Broadway, Highland, IL 62249 or scan and email the completed form to CPursell@iscucc.org. Please call 618-654-2125 with credit card details. Sponsorship forms and payment are due by April 28, 2017.